Starting with release 17.2.3, the Avi CLI supports GSLB configurations that need to selectively assign DNS request-handling on a sub-domain basis to particular Avi DNS virtual services. With 17.2.5, support for this feature is extended to the Avi UI. application VIPs residing in separate routing domains. The health checking Avi DNS SEs perform would necessarily require crossing routing-domain boundaries, which may be unacceptable. such that the VIP-serving SEs can reside in the same routing domain as the DNS VS that serves up their virtual IPs. clear_on_max_retries   Max retries after which the remote site is treated as a fresh start. In fresh start all the configs are downloaded. is_federated           This field indicates that this object is replicated across GSLB federation. leader_cluster_uuid    Mark this Site as leader of GSLB configuration. This site is the one among the Avi sites. name                   Name for the GSLB object. send_interval          Frequency with which group members communicate. view_id                The view-id is used in change-leader mode to differentiate partitioned groups while they have the same GSLB namespace. Each partitioned group will be able to operate independently by using the view-id. Figure 1. Assigning DNS vs-1 to subdomain com. Figure 2. 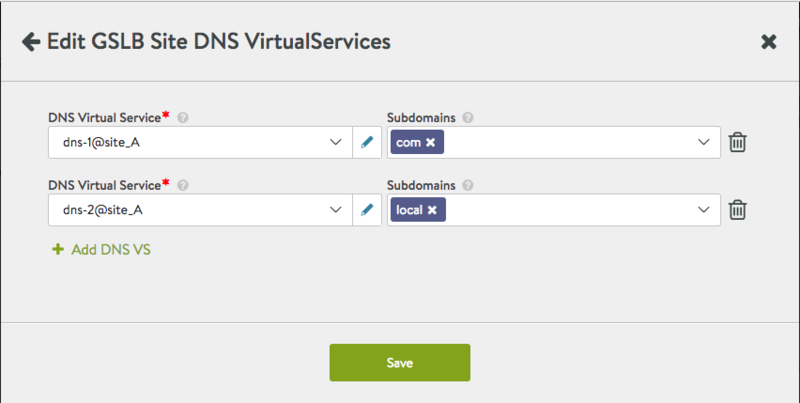 Assigning DNS vs-2 to subdomain edu. Figure 3. 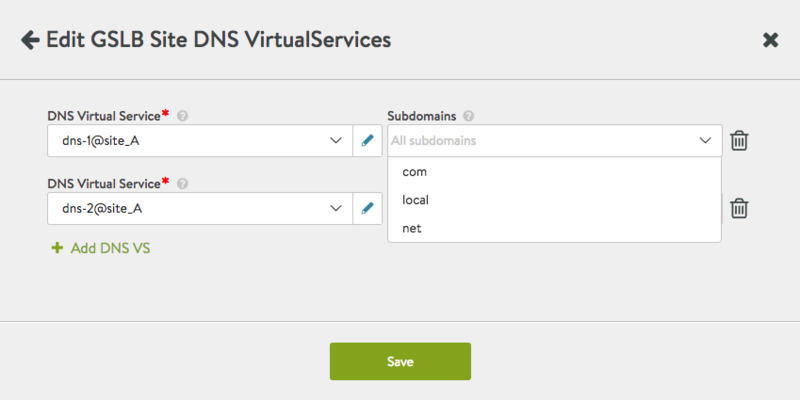 Assigning DNS vs-3 to subdomain net. 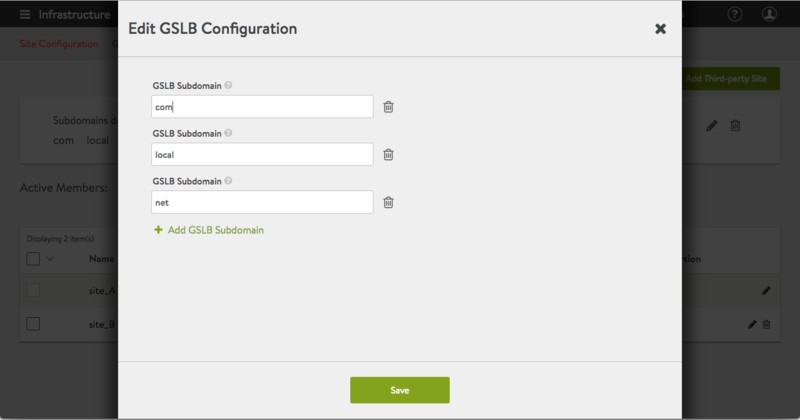 Navigate to Infrastructure > GSLB > Site Configuration to view and/or set the settings related to the selective assignment of a GSLB service to DNS virtual services. Figure 5. 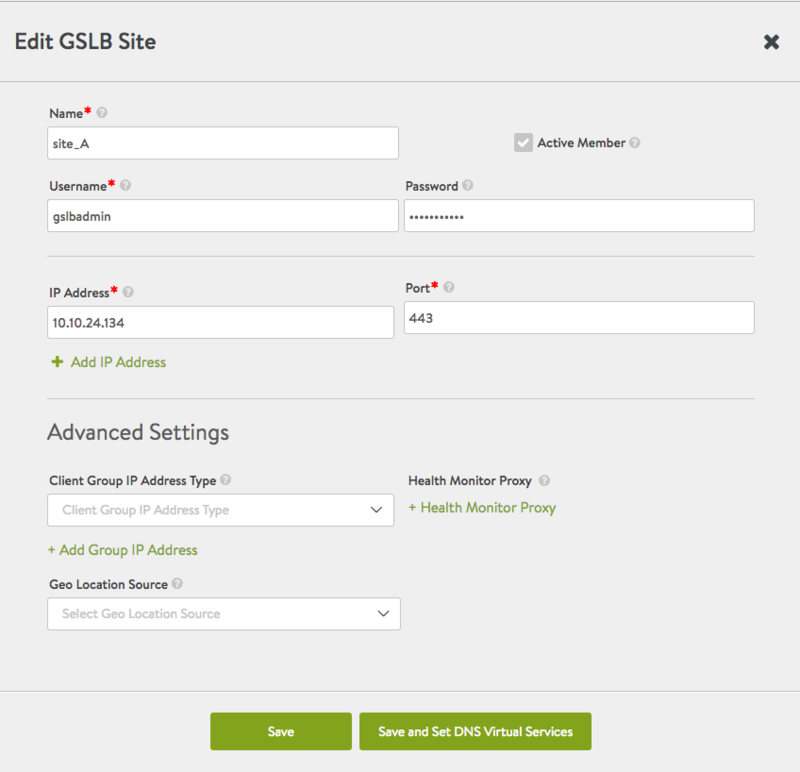 GSLB Site Configuration.